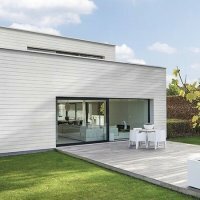 This Durasid Original double siding cladding has a large embossed wood style pattern. It is 333..
Durasid Standard Single Connector for Single Siding Original Sidings. Available in 6 colours. ..
Invisible Single Connector for Single Siding 167mm Original Sidings. Available in 6 colours. ..